Some weeks are better than others for following meal plans. This week? Not so much. We had chicken pot pie (which was awesome, but I really didn't need the carbs! I'm very excited to know I can make it in the crock pot though! Very cool! ), but I just wasn't feeling it for the apples & pork chops on Tuesday. I think I need to give up on pork chops... I've never been a huge fan even though I continue to try them different ways. So twice this week we've had what you see in the picture above... basically steamed broccoli with either ground beef or ground turkey with different seasonings. That's it. Last night we added an Uncle Ben's Ready Rice. This is my gluten free, veggie version of "hamburger helper" -- minus the noodles. It's healthy, cheap, (nice to my blood sugar), and seriously easy. Brown ground beef in a heavy bottomed skillet -- our cast iron skillet is what we always use for this... gives the meat a great "crust." Add seasonings. Steam broccoli in the microwave according to the package directions or by these directions for fresh cut broccoli. 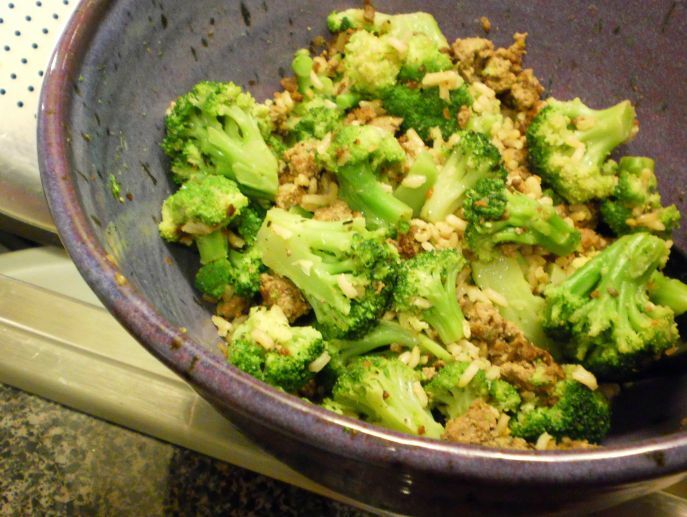 Add broccoli and butter or olive oil to the ground beef. If you're using the brown rice, heat it up according to package directions and add to the ground beef as well. Mix it all up. Serve in cereal bowls... it's yummy... and easy... and husband friendly (although he prefers the ground beef version...)... There ya go... your own homemade gluten free veggie hamburger helper! We get about 5 servings from this large batch of beef & broccoli goodness! For more ideas on how to use frozen broccoli check out The Kitchn's frozen broccoli roundup! To put this meal over the top.. make this dairy free cheezy sauce and pour it all over each serving! 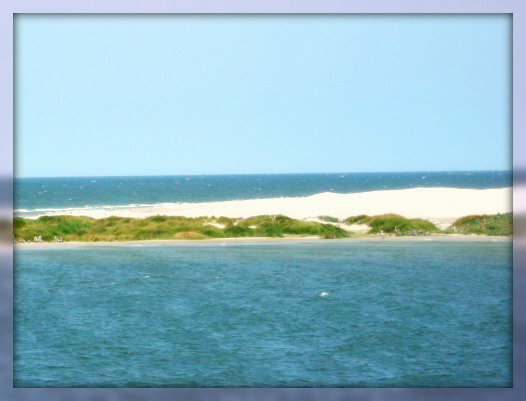 Ocracoke is calling my name again... must go soon! Now that's my kind of meal! I love beef and broccoli together, and this is simple but tasty. I also like that it doesn't require the oven. Thanks for a perfect summer meal, Carrie. LOL, I love it! I recently shared a similar easy dish that included a rice mix, so now I don't feel so bad. hehe. It does sound good! My Mom used to make something similar and all it had was ground beef, chopped cabbage, and carrots cooked together. It was a tasty combo but she made it for a month straight so we all got a little sick of it. 20 years later, I think I'm ready to have it again. Ha! that looks really yummy, Carrie! My mum used to make a similar meal for us using 'RiceaRiso' which is a packet mix of rice, rice shaped pasta and flavourings that she'd mix with minced beef and veggies like this. I certainly can't have her version now, but yours sounds good!